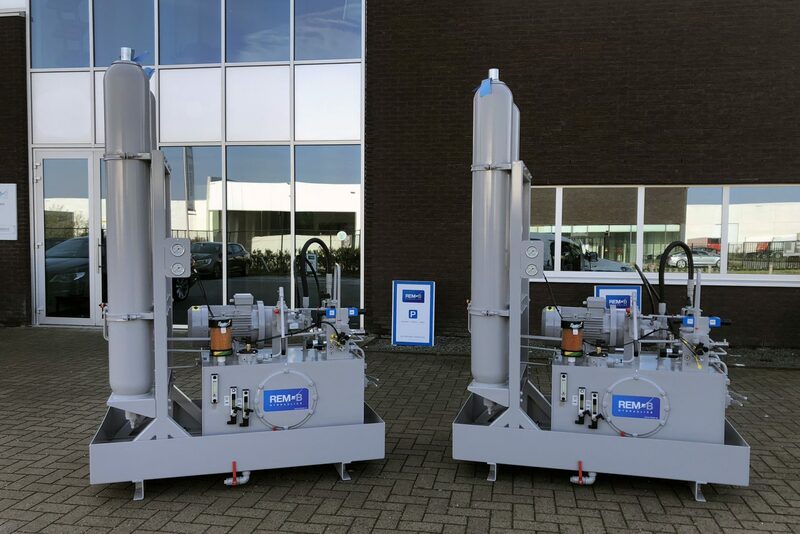 REM-B HYDRAULICS has recently delivered 2 hydraulic groups that will be used to drive valve weirs in the controlled overflow area Alken-Wellen. A valve weir is intended to influence the water level, whereby the adjustable valve ensures that a different level can be set in different periods. The project was commissioned by a well-known contractor with a very good reputation in public works and industrial projects. 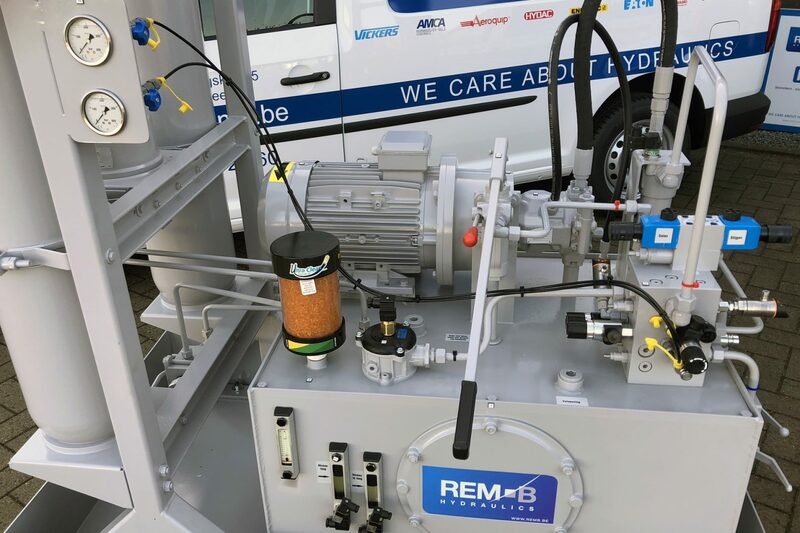 In close cooperation with the customer, REM-B (from engineering up to and including delivery) has taken care of both the hydraulic groups, the cylinders and the piping. Both hydraulic groups were also equipped with emergency controls (batteries + hand pump), so that the valve weir can still be operated in the event of a power failure. Hydraulic components were used for the respective groups. Bosch Rexroth & Eaton Vickers, for which REM-B’s extensive stock was available.